The choice of windows is a responsible issue because their quality will determine the level of comfort in an apartment and the amount of money that you spend for heat and power. Moreover, people usually install windows for many years. This means that the windows should be of high quality to provide your satisfaction for a very long time. Most of the window is glass. It can have many variations and functions. One of the important criterion when choosing a glass unit is its energy saving. 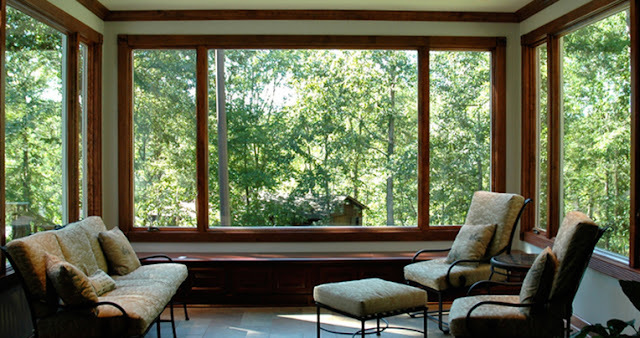 At the consumer's choice, ordinary or energy-saving windows are made. So more about the last. Emissivity is a quantitative description of the thermal radiation of the surface of a particular material. In other words, it is the ability of the material to absorb and emit heat. This property is measured on a scale from 0 to 1. Thus, the higher the heat transfer of the material, the worse the material keeps heat, and vice versa. Glass in its properties has a high thermal conductivity. However, the use of a special coating reduces heat transfer by almost 9 times. So how does it work? 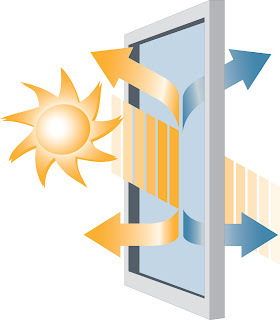 Energy-efficient glass allows light to pass easily. That is such a window does not visually differ from the usual one. But the temperature penetration is completely different. Due to its coating, such a glass passes much less heat. In winter, such windows store the heat indoors, without letting it out into the street. In the summer, they, conversely, do not let heat to pass from the street, keeping you cool. In this way, it provides savings not only in the winter but also in the summer as you will need an air conditioner less often.